Askren is undefeated in his mixed martial arts (MMA) career. He made his UFC debut last month against former welterweight champion Robbie Lawler. Despite a scary early first round, Askren was able to withstand an onslaught from “Ruthless” and get dominant position on the ground. After locking in a bulldog choke, Askren was awarded the submission victory – despite a ton of controversy. 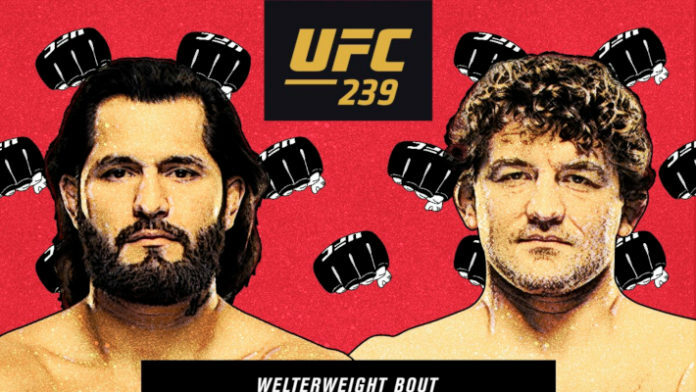 Now, Askren takes on Masvidal, who comes off a huge second-round knockout victory over Darren Till in his own backyard of England. Although it looked like a fight with Masvidal and Leon Edwards was the sensible next step, the UFC has paired up “Funky” and “Gamebred” next. What do you think of the match-up between Askren and Masvidal?